3. 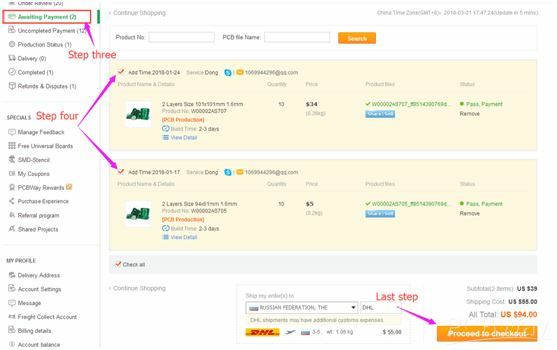 Step three: Click”Awaiting payment” and choose all the orders you want to pay and ship together. If the new orders are still under reviewing, then please wait till they have been passed our audit.